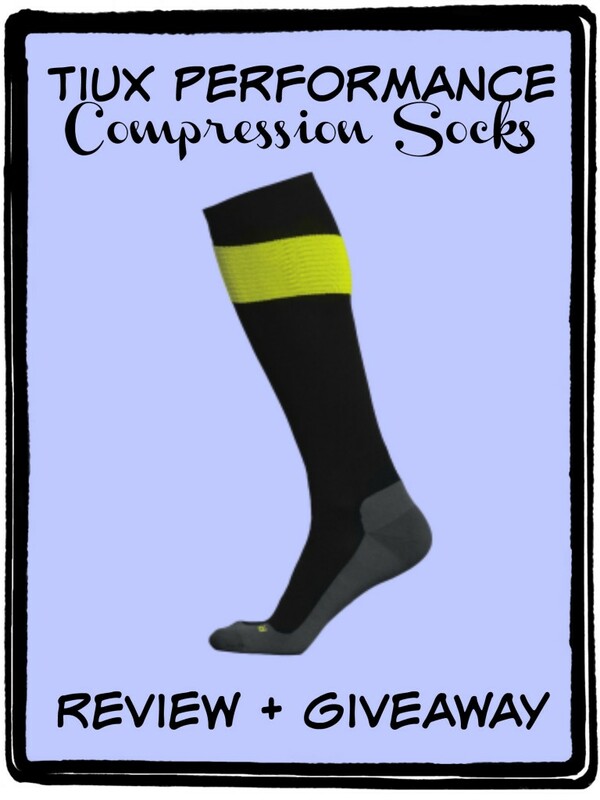 Thank you to Tiux Compression Socks for sponsoring today’s post. I received a free product to review. This post may contain affiliate links. 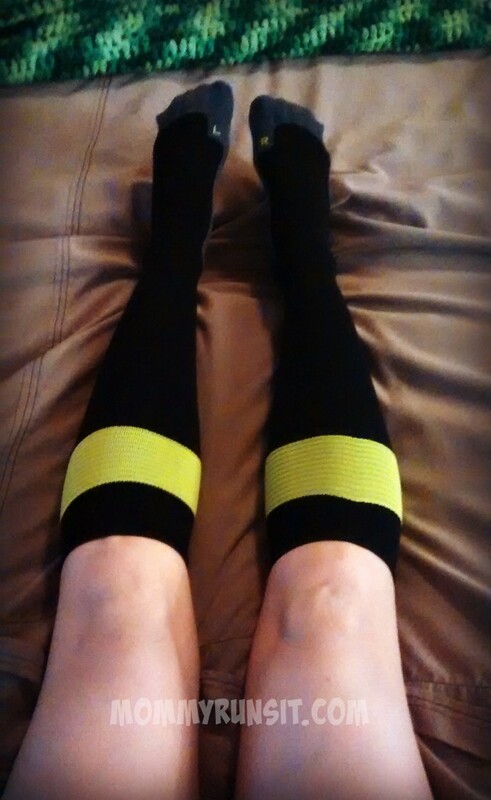 Compression socks make my long run legs happy. Hobble up the stairs carrying everything I could possibly need for the rest of the afternoon so I only have to make the trip once. Drink the protein smoothie that my husband makes and leaves in the fridge for me. Take a hot bubble/Epsom salt bath. Put on a t-shirt and compression socks, get into bed, and take a nap. If I’m really lucky, my husband will keep the kids out of the house all afternoon so that I can sleep, rest, and recover. A lot of my friends run in their compression socks and sleeves, but I only wear mine for recovery (just a personal preference). 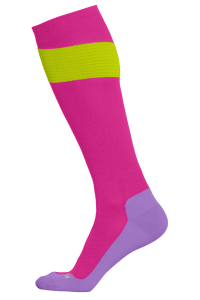 There are a lot of benefits to wearing compression socks (click HERE to learn more), but I just love the way they feel on my tired, sore legs. But compression gear can be cost-prohibitive. Calf sleeves can cost $40+, and over-the-calf socks (my favorites) can go for as much as $70! I don’t know about you, but it’s hard for me to justify that expense when I’m already spending over $100 on running shoes every few months. 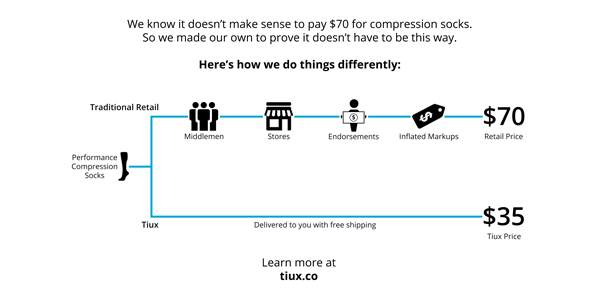 That’s the #1 thing that makes Tiux Performance Compression Socks different from other brands – the price. 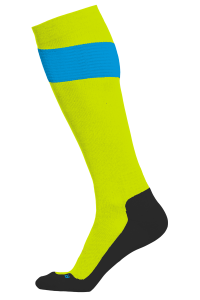 Tiux Compression Socks are $35 and are delivered with free shipping. Wide top band for comfort. Achilles tendon protection to prevent blistering and irritation. “Y” heel for contoured perfect fit. Padded footbed provides cushion and shock absorption. Seamless toe for maximum comfort. Breathable mesh instep to keep your feet cool and dry. Graduated compression (20-25 mmHg) to increase blood circulation. Constructed with premium technical fabrics for superior moisture management and breathability. 200 thread count for ultimate durability,comfort and fit. Left and right anatomical design. But how do they feel? I’ve been fortunate enough to try out a number of different brands of compression gear – some were purchased with my own money, some I won in blog giveaways, and some (like Tiux) I received for free so that I could review them here. With that said, I feel comfortable telling you that Tiux Compression Socks absolutely stand up to their more expensive competition. The footbed is significantly more cushioned than the other brands that I’ve tried. The toe box is wide, but not too wide – just enough so that my feet don’t feel squished. They are designed (and clearly marked) differently for the left and right foot. The top band is wider than other compression socks. It still fits snugly, but I find it more comfortable – plus they’re easier to take on and off. Really, the only thing that comes to mind is the color – black/gray/green aren’t really my thing. BUT I can see on their website that they’re coming out with two other color combos – green/black/blue and pink/purple/green. So that takes care of that. Oh, and before I get to the giveaway, here’s one other cool thing about Tiux. They’ve committed to donating 1% of their revenue to MAG (Mines Advisory Group) – an organization whose mission is to save lives and protect communities from landmines, unexploded ordnance (UXO), and other weapons remaining after conflict. Tiux is giving away one pair of their Performance Compression Socks. Use the form below to enter. And if you don’t want to wait for the giveaway, go HERE to pre-order a pair today! Stuff you should know before you enter the giveaway —> * This giveaway is open to US residents only. You must be 18+ to enter. Winners will be notified via email and given 48 hours to respond. If the winner does not respond within 48 hours, a new winner may be selected. Mommy Runs It is not responsible for prize fulfillment. I would love to win these! Love your website! I would LOVE to win these! I have never tried compresion socks before and would love to start! I’d love to win these! Compression socks have made a huge difference in my recovery from long runs in the past. I want to win because I know they can help with my recovery and calf issues. Thank you! I want to win because I’ve been having issues with my calves after running, and I think these would really help. Plus they look cool 🙂 Thank you for the wonderful giveaway. These would be great after my long runs as a train for a marathon! I’d like to win them for my FIL. I’ve had a calf cramp with exercise lately and would love to win these to see if it helps! 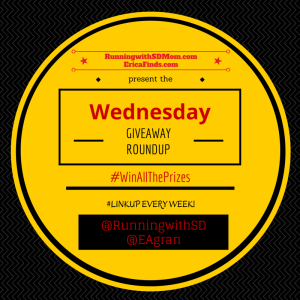 I would love to win a pair because I get calf cramps and I have heard these really help! They look and sound comfortable, and it’s awesome that they donate some of their proceeds to such a worthy cause! I would love to win these socks! I am an avid half marathoner, and for the past 6 months, I have been working on my speed. They sound like a good way to pamper my legs after speedwork.